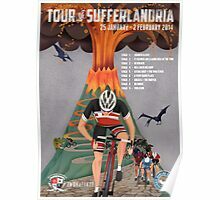 As your guests gasp with amazement, astonish them with tales of HONOUR GLORY and VICTORY from your ride in the 2014 Tour of Sufferlandria. 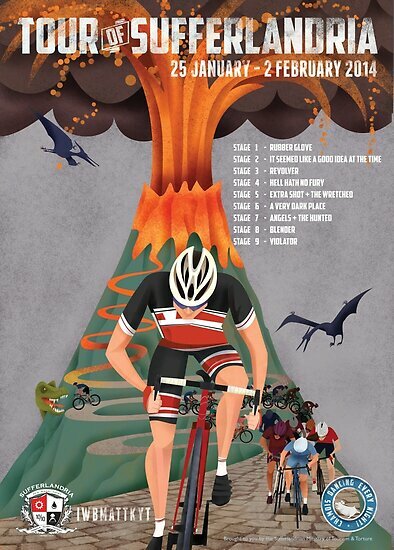 Official poster by artist Gregory Baldwin. Prints arrived quite quickly, from Aus to Canada. In perfect shape and they look great. Very professional looking. Downright agonizingly inspiring. Will this product be available to order as a photographic print? 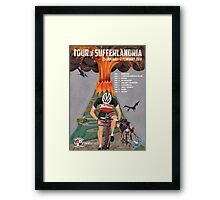 I have ordered the 2015 version, and would really like the 2014 print in the same size and quality.